The all-seasons Exercise Room is well maintained. 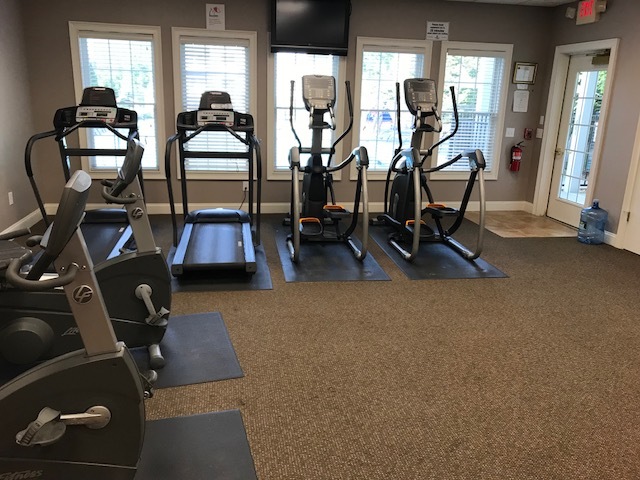 In July 2018, replacement Matrix Elliptical machines were put into place. These are commercial-grade machines for this popular room. The pool is in the background through the windows. It is a very popular summer activity for grandparents, their children who are parents and grandparents.